Home of the Brave is about the only white woman murdered in the civil rights movement and why we hear so little about her. Told through the eyes of her children, the film follows the on-going struggle of an American family to survive the consequences of their mother's heroism and the mystery behind her killing. 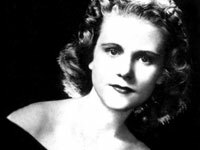 Viola Liuzzo was a 39-year-old Detroit teamster's wife and mother of five, who joined thousands of people converging in Selma, Alabama for the march on Montgomery, led by Martin Luther King in 1965. But shortly after the historic Voting Rights March had ended, she was shot in the head and killed by a car full of Klansmen, while driving on a deserted highway. Liuzzo's death came at a pivotal moment in the civil rights movement, when President Johnson had been fighting an uphill battle to push the Voting Rights Act through Congress. Her murder is attributed by historians of the era as providing the final piece of leverage that won Johnson approval of the Act in Congress, which forever changed our political landscape. Why do we not know the story of Viola Luizzo, while nearly everyone has heard of Goodman, Schwerner and Cheney -- the three rights workers killed the year before in Mississippi? The reasons are complex, and won't be found in history books. Immediately following her murder, Liuzzo became the target of a smear campaign, mounted by J. Edgar Hoover and the FBI, as a means of diverting attention from the fact that a key FBI informant was in the car with Liuzzo's killers. This discrediting of her name -- mostly based on her gender and wholly unfounded -- succeeded in erasing Viola Liuzzo from our cultural memory. After delving through thousands of pages of government documents and filming interviews with leaders in the fields of politics, history and forensics psychology, the filmmakers shed a new light on this complicated, buried story. Home of the Brave links the personal and the political, the past and present and has a disturbing resonance to our world today. "The film is interesting in its examination of the terrible personal toll the murder took as well as the great societal changes that the Selma March spurred. It is a disturbing investigation into the misuse of power and its lasting detrimental effects. For high school classes studying civil rights, political science, government, and history." "Di Florio has seamlessly woven together the strands of past tragedy and contemporary ramifications into a film that is stingingly personal and universal at the same time...required viewing by all citizens if we hope not to repeat this awful chapter." "There is nothing simple about this moving, historically significant, riveting film... A movie of twists and turns that continually surprises and provokes...it should be seen by as many Americans as possible." "Haunting... Home of the Brave does a meticulous job of summarizing these notorious events, but it is the stories of Liuzzo's five children that give it fresh emotional power." "Amazing footage from the glory period of the civil rights movement... Fascinating." "The empty rhetoric about 'the price of freedom' that dominated so much post-9/11 posturing by politicians and opportunistic public figures snaps firmly into focus in light of this searing documentary's revelations about Viola Liuzzo...Even more than a crucial piece of remedial historiography, the film is also an unsettling exploration of the impact violence and shameful injustice continue to have on a family nearly 40 years after the fact." "***** Home of the Brave is one of the most important films of the year...The civil rights struggle presented in the film provides a timeless reminder that no country can honestly call itself a democracy if any segment of its population is denied full access to basic liberties... a powerful film worthy of a truly extraordinary American." "A serenely powerful, handcrafted film that navigates into a place Dr. Martin Luther King Jr. once called 'the tangled discords of our nation'." "Searing... not to be missed..."
"Home Of The Brave stands out as both relevant and moving." "Highly recommended. The still-unanswered questions about Viola Liuzzo's murder, the surprising outcomes of the Liuzzo brothers' stories, and the emotional wallop of Mary's visit to Alabama make this an engrossing and moving viewing experience." "Home of the Brave...strives to restore the credit due to [Liuzzo] for her role in history and her personal sacrifice. Highly Recommended, especially for public, college, and high school library collections."